Sandy Merritt submitted this photo and caption. 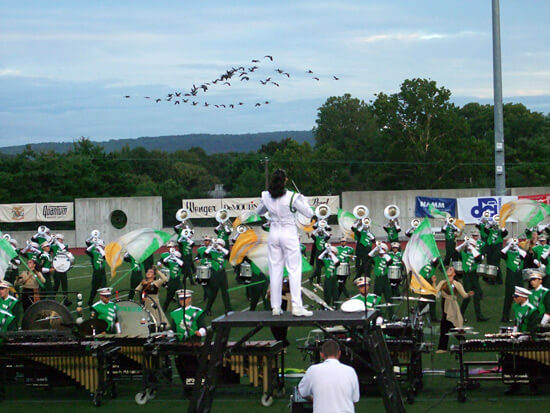 This photo was taken at the DCI Eastern Classic in Allentown, Pa. on July 31, 2009. The geese did a very nice fly-by during Pioneer's performance. The whole competition was terrific. I wonder if Pioneer gets extra general effect points for the "goose effect"?